For me, things that are expensive and rarely found on my plate almost always taste better. Enter, the lobster. Growing up it was not a Monday to Friday dinner, but a special occasion food. To this day I still jump at the chance to get my hands dirty cracking claws, or (elegantly) forking it in to my mouth. Beyond the luxurious and elite feeling I get from eating the crustacean that is still reputable for being a delicacy, it is the flavor and versatility that I enjoy most. It’s sweet, succulent, tender and moist. It’s not fishy tasting even when picked right out of the shell and isn’t veiny like many other crustaceans. I love it in garlic and butter and I love it in a cream sauce with fresh fettuccine or linguini. 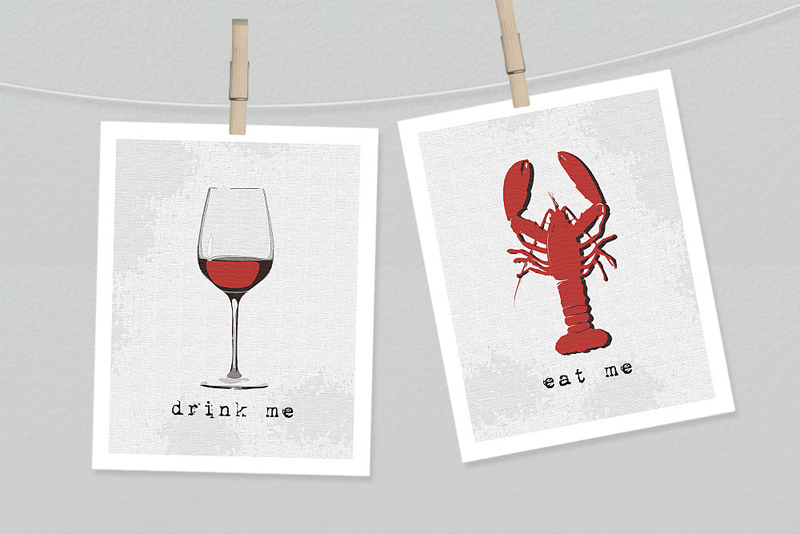 To honor this delicious crustacean Vancouver Urban Winery is hosting a Railtown Lobster Supper Party. LobsterMatt, as he is known, is flying in from the Maritimes with lobsters in hand (or in storage), ready to showcase his culinary skills. Known for his lobster preparing prowess, he will prepare the lobster in different ways to showcase his talent in the kitchen and highlight the lobster’s versatility. To enhance the experience and the dishes, Vancouver Urban Winery has carefully selected wines from the 36 they have on tap to pair with each course. The objective of the Railtown Supper Party, is to be a platform for showcasing the skills of (mainly) local culinary artists, on a level many people don’t get to see while dining out. Each Supper Party features a different style of cuisine. In the past they’ve had a Vietnamese-French feast and in January they’re hosting a Special Edition Vegetarian supper and two Classic Italian suppers. Check out their website for details. Food for Thought: It amazes me that the lobster went from a seafood in surplus, washing up on the shores and considered the “poor man’s food”, to earning the title as the “rich man’s food”. The cost increased largely due to demand and the expenses from transporting it, but as modern technology allowed for shipping the creatures alive their worth depressed once again. Now it seems that many fishers who rely on lobsters for their livelihood are suffering because the cost of catching versus the price per pound doesn’t balance out. I know their worth and I’d pay whatever is fair to the suppliers because I love to gobble them up but don’t want them to one day be overfished and extinct. Every once in a while, like this special lobster supper, is fine for me. Wouldn’t it be nice if every experience could involve someone whose specialty is lobster preparation?